Not much card making in this household after holding a party for 12 boys this weekend. Let's just say I have a whole new respect for those in the party organising industry! Most of Friday was spent making a Minecraft creeper cake at the request of my 10 year old son -what could be easier..it had to be square and green. Even I could manage that! My first card is for the this week's Freshly Made Sketch. Not sure if it was a lack of mojo but I think this is the hardest sketch I've ever worked with. 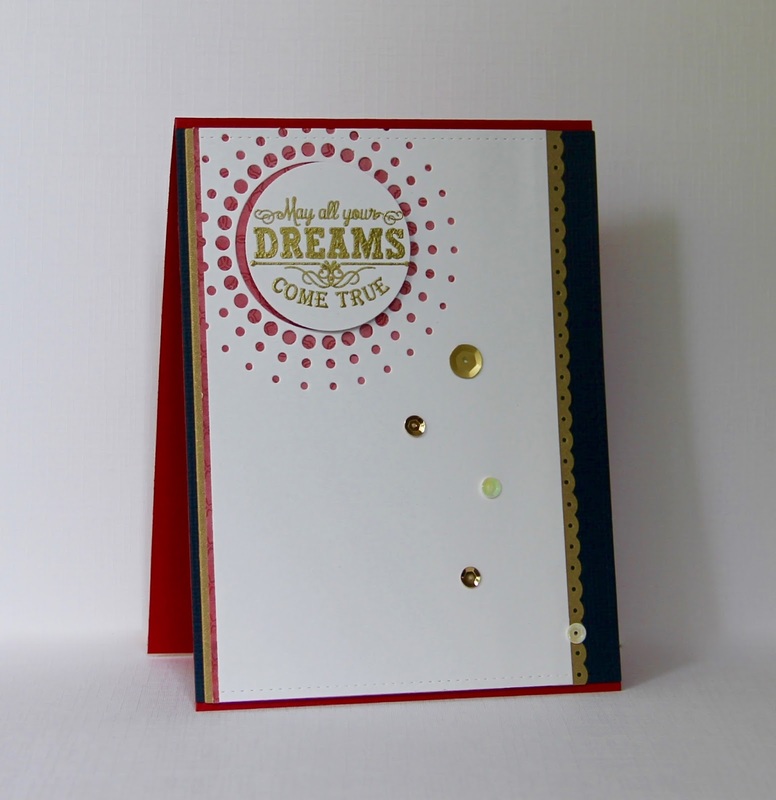 It took forever to decide what to do but in the end I used a Memory Box sunburst die to create a very CAS card. The Whimsy Stamp chalkboard greeting, embossed in gold, happened to fit perfectly within the circle. A sprinkle of sequins and it was done. 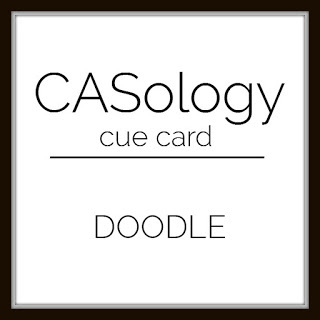 The second card is for Casology where the cue word is 'doodle.' The sweet little flower is from a stamp set by Waffle Flower - it kind of reminds me of the simple flower doodles I did as a kid. I added a few doodled lines along the petals, coloured it with Copics and embossed a frame around it using Waltzingmouses's Picot Panel die. Well that's enough waffling from me tonight , I can barely keep my eyes open! I love that sunburst die and the gold accents look terrific! 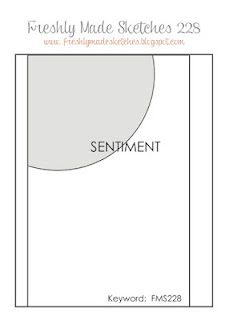 I also love your simple flower on white in your second card! I'm glad you shared one at FMS! Very pretty cards! I love that die and those fun sequins! Thanks for joining us this week at Freshly Made Sketches! What lovely cards!! That first one with the die in the corner-perfection!! I have that die and still have not used it. You make me want to dig it out!! 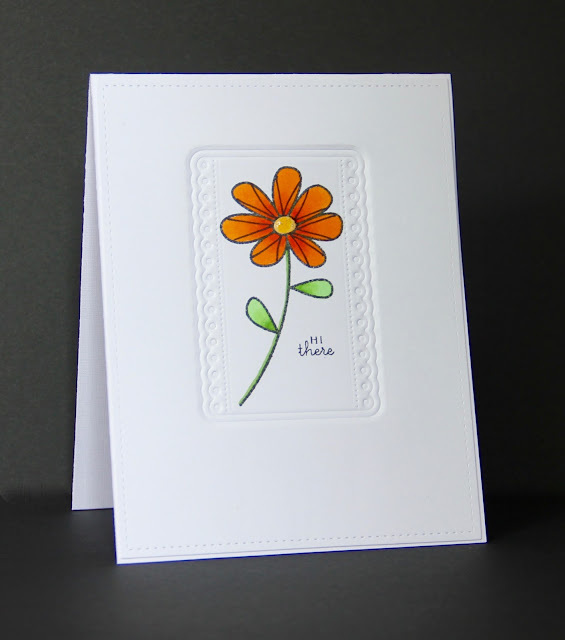 Beautiful doodle card - the flower image is perfect with the added lines and I love the embossed frame! Thanks so much for joining us at the CASology challenge this week! Such a perfect image for the DOODLE cue, Claire! I love the bold orange you used with it! Your simple but perfect take on the doodle cue took my breath away Claire!!! Good thing the sketches are usually good jumping off points. I think it turned out perfect even if it did take a while. And love the impression on the doodle card, very pretty!